Here at CincoRanchRoofers.com, we are dedicated to providing you with the best craftsmanship, high quality roofing products designed to withstand the rigors of Texas’s storms, and friendly, courteous service. Craftsmanship is especially important to us because of the extreme weather conditions that sweep through Texas, taking roof shingles - and entire rooftops with them. In addition, we want to do an exceptional job for you. Each roofing job we do is a reflection of us, and we want to look as good as your new roof. This commitment to providing expertly crafted roofing has served us well throughout our twenty year tenure in the greater Houston area. We emphasize quality and craftsmanship because your roof must withstand the weather, we take pride in our work, and you deserve the best. Finally, friendly, courteous service has been a hallmark of our business since day one. 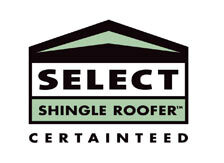 We have a reputation to live up to and promise that you'll be impressed with our roofing crews. Courteous service doesn’t happen by accident. When new roofers join our team, they have passed several screening processes and met our strict hiring criteria. Our insistence on hiring the best enables us to live up to our promises to our customers. If the best craftsmanship, high quality, wind-resistant roofing products, and friendly, courteous service are as important to you as they are to us, contact us today. These qualities have Cinco Ranch Roofers and its customers beautifully since we started. Let us continue that tradition on your next roofing project.